Felting courses, pictures, exhibition and mention in Press! Where do I start. It has been a busy couple of days finishing my work for ‘Breaking Out’, delivering it to Kilkenny, organising 3 felting courses and discovering that my blog has been mentioned in an article by Marie Boran for Silicon Republic and the business section of the Irish Independent today, thanks Marie!! I am delighted to report that my work is now finished for ‘Breaking Out’ and that I met the curator Ann Mulrooney yesterday for a chat and to deliver the pieces to Kilkenny. Ann has been a great help with all sorts of advice; which items are suitable to exhibit, which are ‘product’, how to present your work to a gallery, how to package your work and label it, all sorts of things that I am new to so thanks Ann for the advice and support. The images above and below are of ‘Sea Breeze’, one of the neckpieces which I left with Ann and the one that I almost burnt to a cinder in the Rayburn on Tuesday! EXCITING NEWS RE. 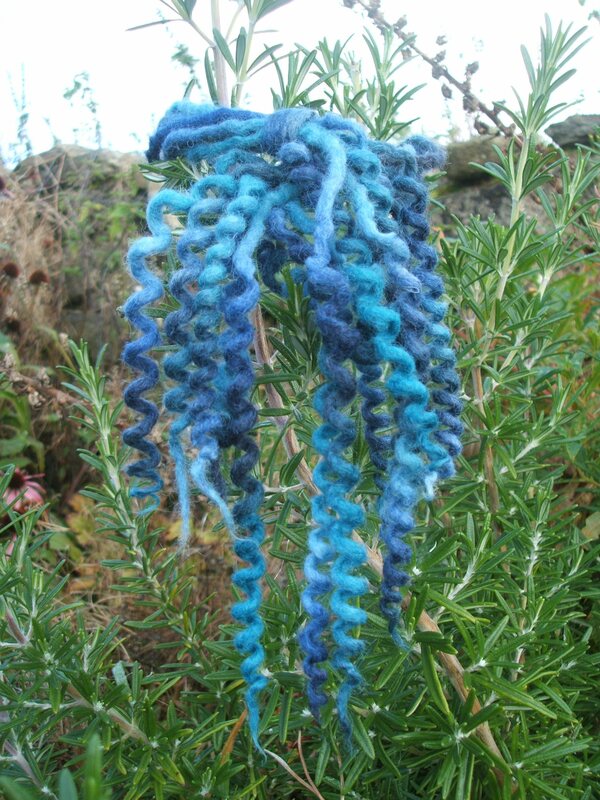 FELTING COURSES I am thrilled to announce that German feltmaker Sigrid Bannier, Turkish maestro Mehmet Girgic and English felter supreme Sheila Smith have all confirmed that they will come to Ireland and hold workshops in the Clasheen area! 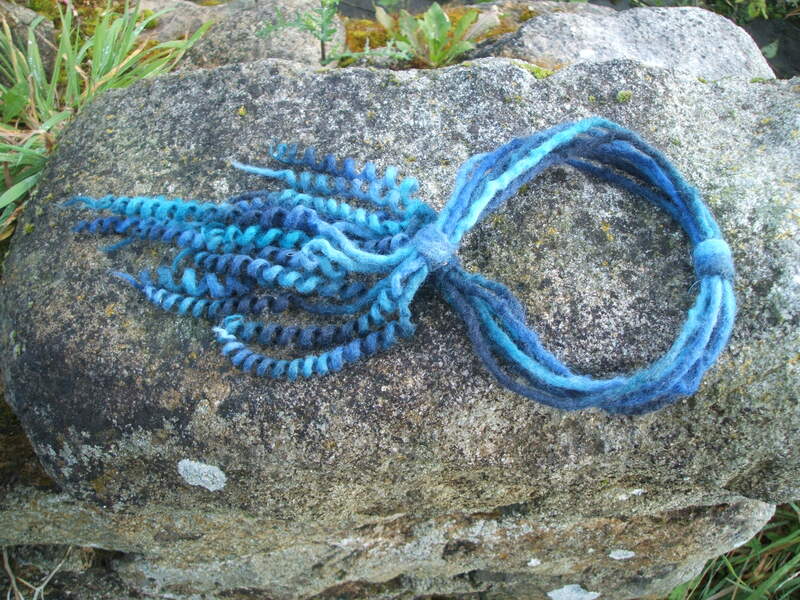 Sigrid Bannier will be facilitating a felt jewellery workshop and a nuno felting workshop at Woodbrook House, Killanne, Co. Wexford on 29th and 30th November 2008. Mehmet Girgic will be teaching felt rug making in several three day courses between 15th and 27th January 2009 here at Clasheen, full details and dates of the different courses to be confirmed. Sheila Smith will be here at the end of April, beginning of May, dates to be confirmed this weekend! I am putting up a new page on the blog this weekend with resumes of the tutors and links to their websites. Please email me immediately if you are interested in provisionally booking a spot to learn from any of these exciting masters. This entry was posted in Felt and tagged Ann Mulrooney, Breaking Out, business, Clasheen, curator, exhibition, Felt, felt jewellery, felt rug, Felting, Irish Independent, Kilkenny, Marie Boran, Mehmet Girgic, merino, neckpiece, Nuno, press, rug, Sheila Smith, Sigrid Bannier, Silicon Republic, workshops by Nicola. Bookmark the permalink. Looks like an exciting season coming up in your neck of the country. Can’t wait to do one. All the best. Your necklace is gorgeous….I love it! Congratulations on your blog being recognied, but I am not surprised.The workshops that you organized are amazing, and you know I will be there to see Sheila Smith. I love your beautiful necklace and all your lovely artwork. Loving wishes and happy memories hope we meet again in the near future. Congrat’s on all the publicity Nicola – well done!